From left to right: Richard Johnson Sr., Betty Johnson, Dickie Jarvis, Evan. Glades Jarvis, Rev. 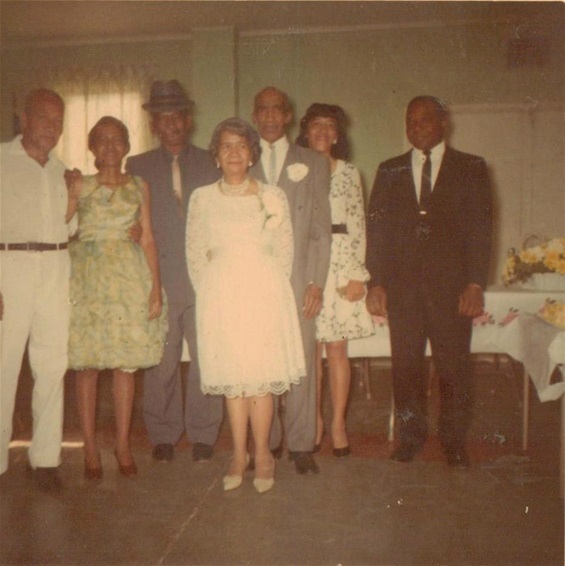 Herbert Jarvis, Glory Stevens, and George Stevens Sr.
Meet the late stewards of The Voice Of The Gospel Mission Church. We, their children and ancestors are reaping the rewards from their labor of love which they have shown toward the Lord and His Church. God is blessing us, their children, today because of their faithfulness and the many sacrifices they endured for the Gospels sake.